ASIA STYLE COLLECTION 2013 - . 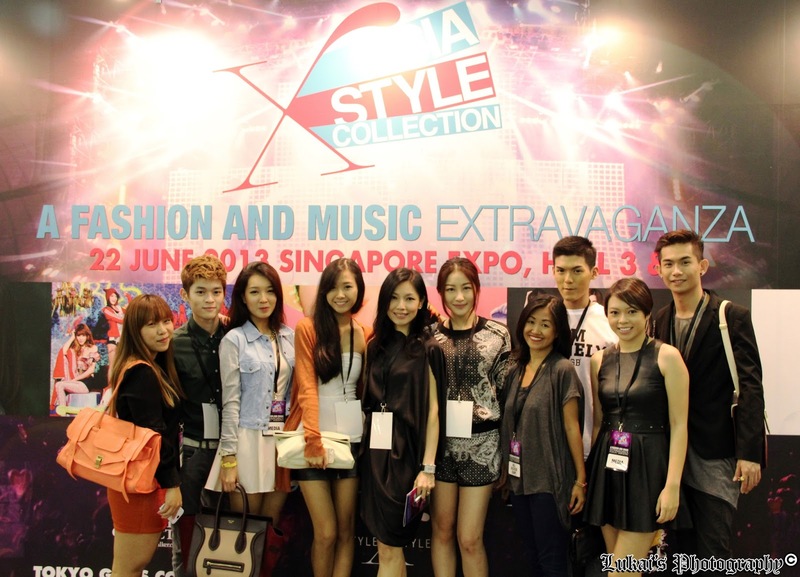 styleXstyle COLLECTION is a celebration of quality fashion from local designers. This year’s collection features well-known Singapore brands, showcasing their latest outfits, marking their debut styleXstyle exclusive designs for ASIA STYLE COLLECTION 2013. Too good to be true. I always wanted to watch Tokyo Girls Collection. Last week, Thanks to Gushcloud, i got a golden chance to see my favourite VIVI magazine model-Lena Fuji, Kpop girl bands-2NE1 & SNSD, Singapore top model-Sheila Sim, mediacorp artistes ! I've so proud of our Gushcloud darlings(bloggers), they simply look gorgeous! Met Sharon Au, the women behind StyleXstyle. We had a awesome chance to do a backstage tour! These are the rooms where the japanese models and artists does their hair and make up. The first room is Lena Fuji's room! Group photos with Shanon Au. For you to find out. Ain't she's adorable! I simply love her Ulzzang look. While waiting. This happens to all bloggers. Look at our VVVVVVVVIP area. We were sort of protected by these barrier from SNSD's fans. This area is actually for the camera crews but we had the privilege to sit so close to the stage. Models were dancing to Girls generation and PSY hottest song. Featuring local designers labels such as Reckless Ericka, Depression, Mash-up, Ong Shunmugam, Zenchi and styleXstyle.com.